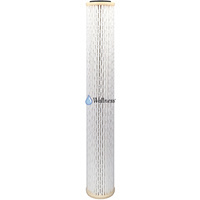 The NanoCeramå¨ PAC 0.02 Micron nominal (0.2 mircon absolute) cartridge is capable of retaining 99.9999% of microorganisms such as viruses, bacteria & protozoa. 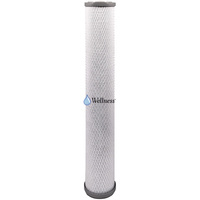 Cryptosporidium, Giardia Intestinalis, Legionella, Pseudomonas, Salmonella, E-coli, Mycobacteria, Aspergillus, endotoxins & DNA - at flow rates hundreds of times greater than virus-rated ultra porous filters. 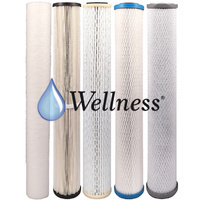 NanoCeramå¨ PAC represents a paradigm shift in carbon filtration and builds on the breakthrough technology found in NanoCeramå¨ media by combining the benefits of sub-micron particulate filtration with exceptional chemical removal performance..
å_ All NanoCeramå¨ filter cartridges require the use of a pre-filter(s) of at least 1-micron nominal. 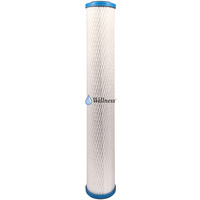 We recommend consultation prior to purchase to determine your water quality needs. 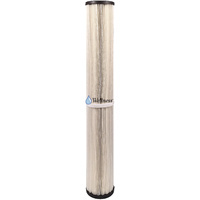 å_ Results may vary depending on water quality. 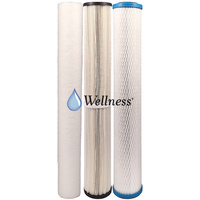 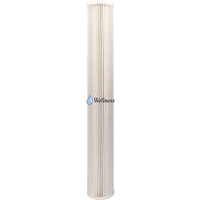 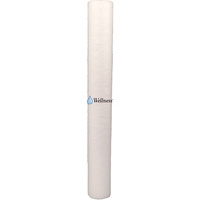 Filter not designed to treat microbiologically unsafe or non-potable water without adequate disinfection or pretreatment.